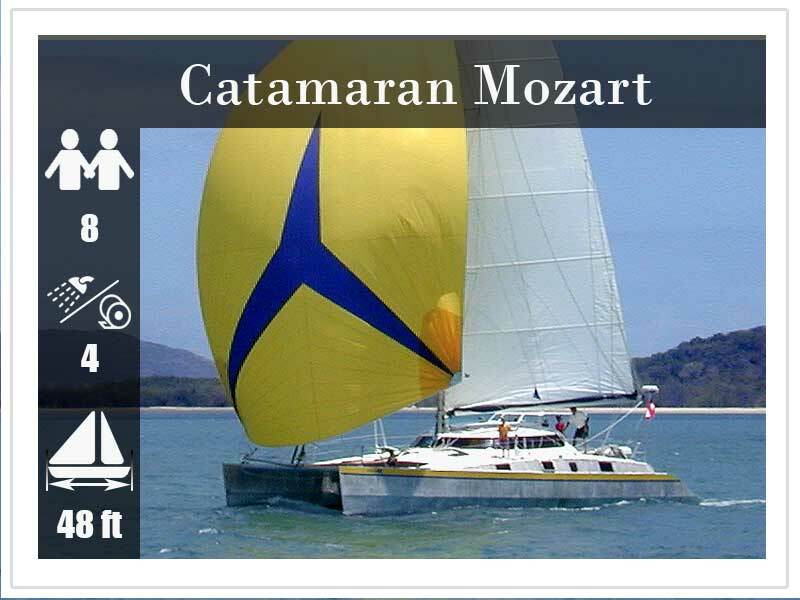 SY Mozart is a 48 ft aluminium fast sailing, fully crewed catamaran for up to 8 guests. 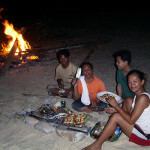 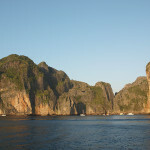 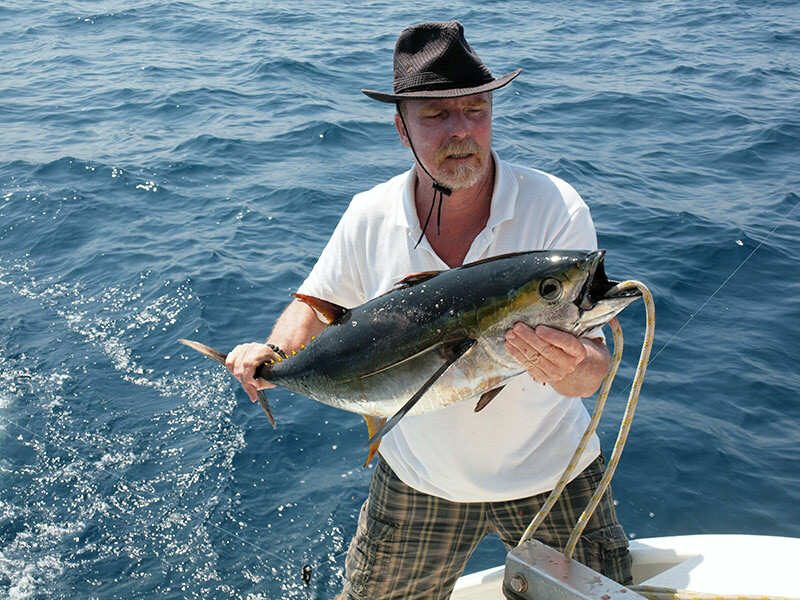 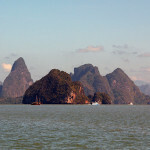 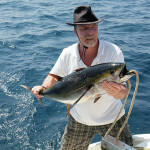 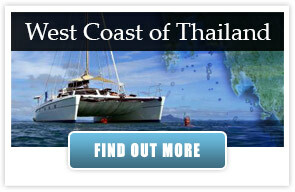 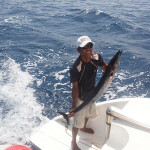 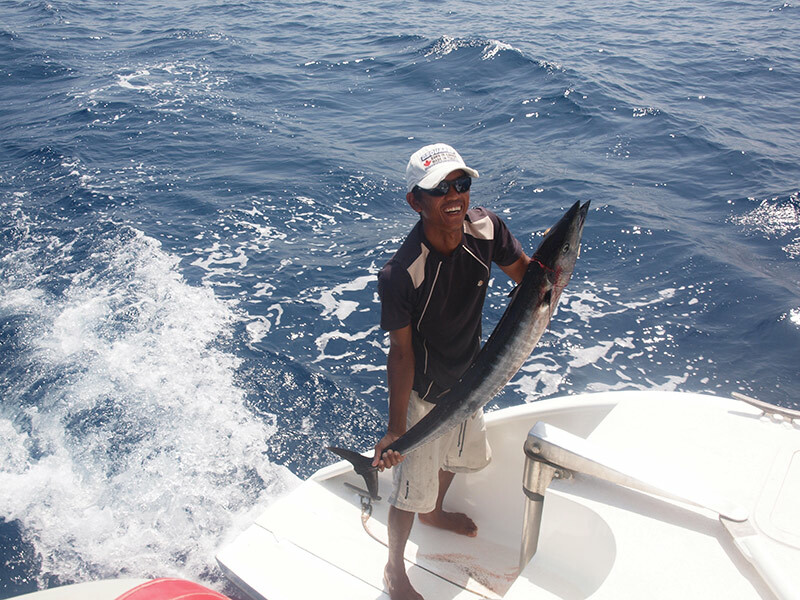 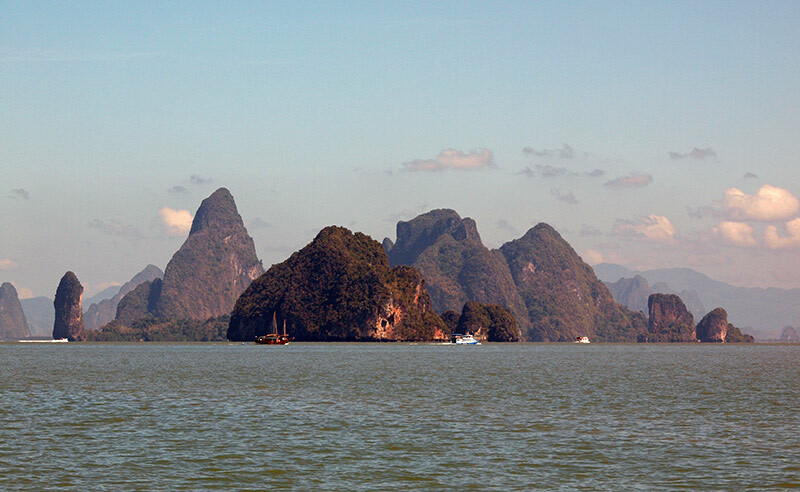 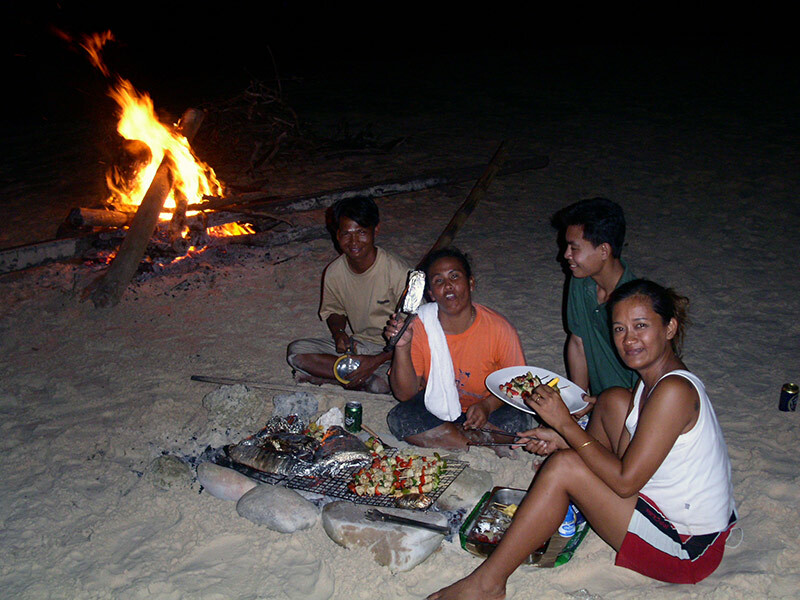 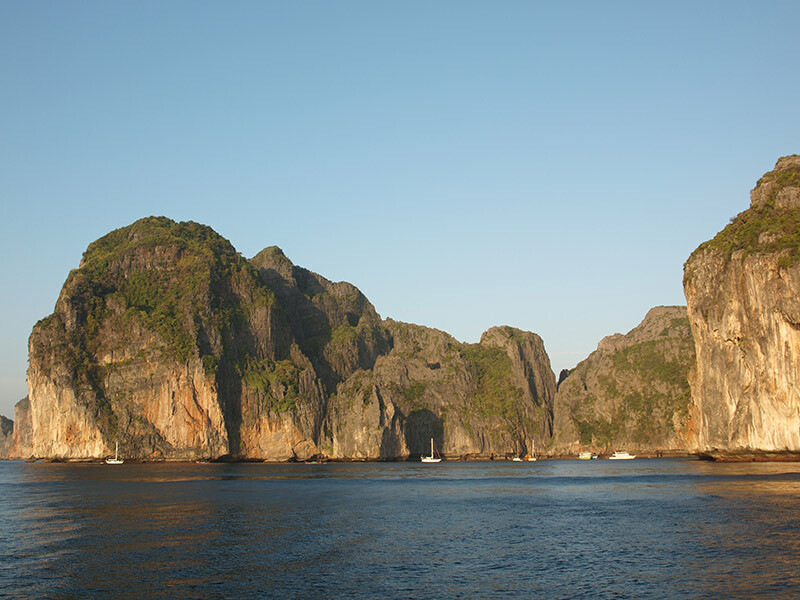 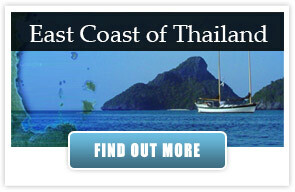 Sailing Thailand, the Andaman Islands (India), Malaysia and Myanmar (Burma). 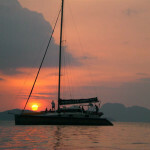 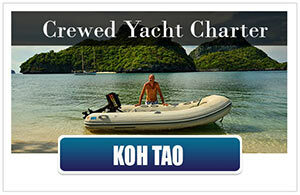 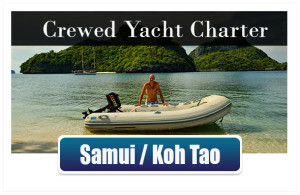 This fast sailing yacht is your choice for a relaxed yacht charter in Thailand. 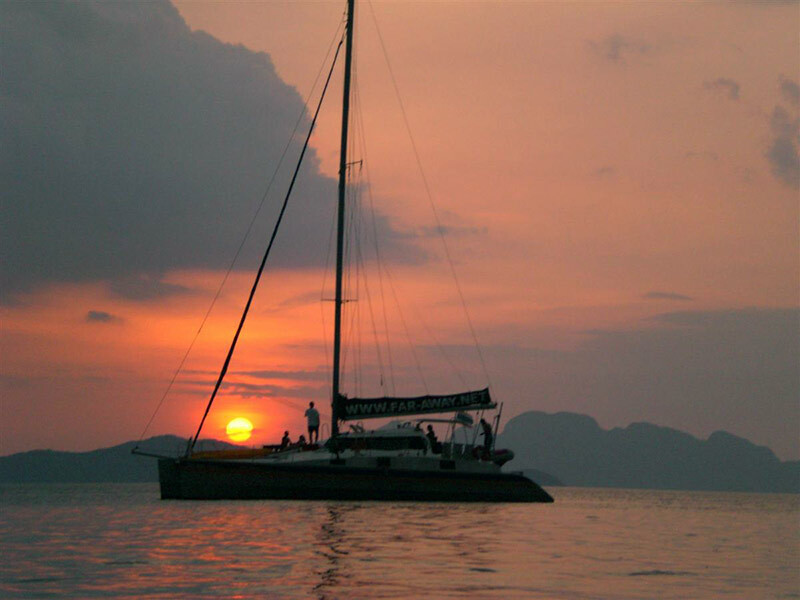 The crew on this sailing catamaran is famous for their Thai and Euopean gourmet cuisine and the unparalleled service they provide. 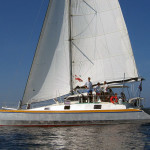 Even on a extended sailing cruise, you will have a great time on board of this yacht. 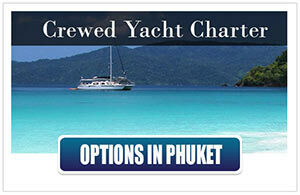 The large capacity water maker makes fresh water usage a non issue on a yacht charter. 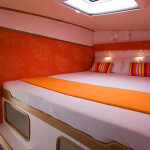 The cabins are well ventilated with electric fans and opening hatches. 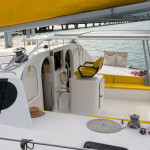 And, of course you can sleep under the stars in the netting between the hulls. 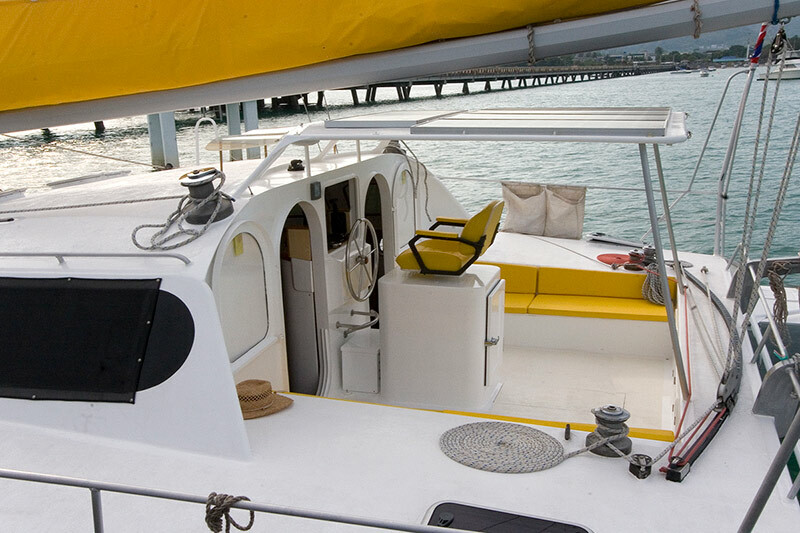 At the end of a great sailing day: lie down in the netting, sip a cold drink, watch the sun go down and enjoy your favorite tunes from you device plugged into the yachts sound system. 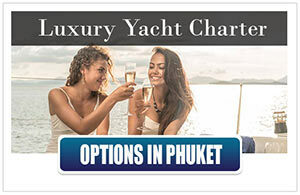 On top of all this, yacht charters on Mozart can be enriched with scuba diving, PADI dive courses, Thai massage and even a yoga teacher can accompany you on your yacht charter if you wish to practice some yoga on shaded beaches along the way. 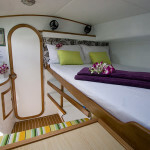 You will instantly feel at home on this stunning catamaran cruising the Andaman Sea of Thailand and Myanmar. 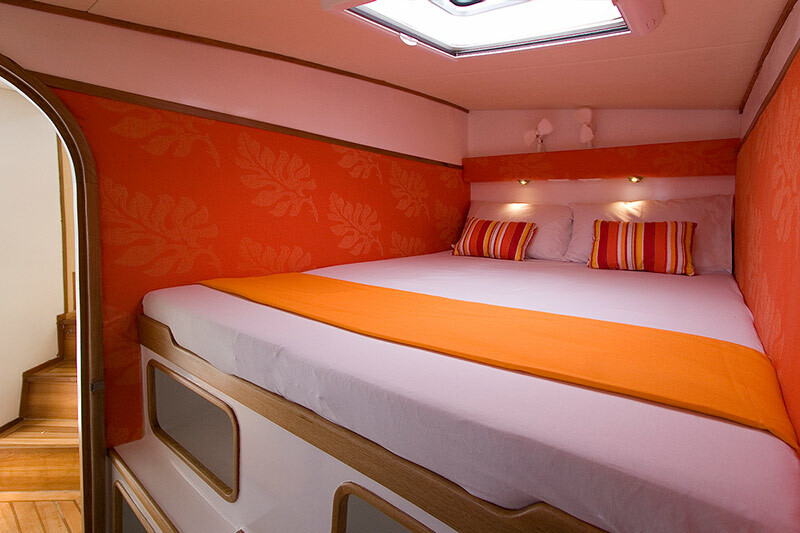 SY Mozart’s’ interior layout is stylishly designed with light interior elements contrasting natural colors . 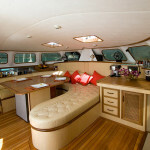 With three breezy en-suite double cabins featuring spacious bathroom and shower facilities and one airy double aft cabin with access to a shower and a bathroom, 8 participants are truly well accommodated on their yacht charter. 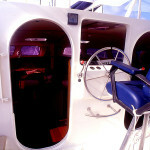 All cabins are well ventilated with opening hatches and fans. 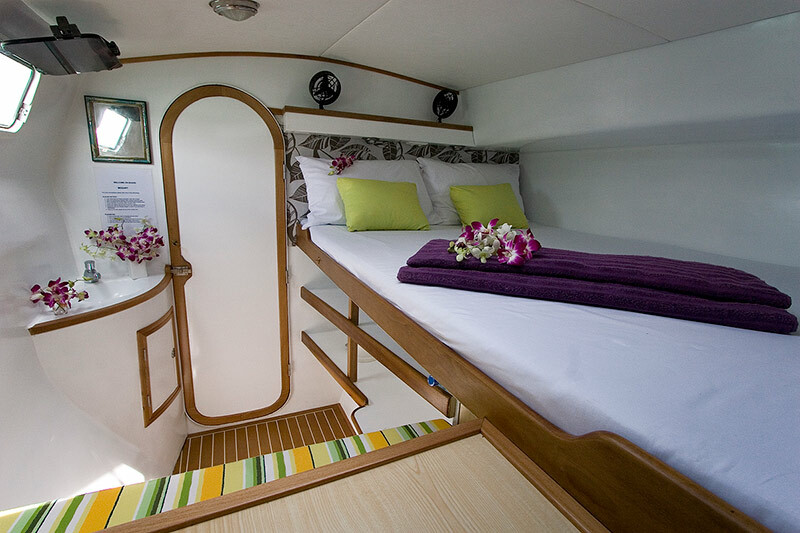 There is ample room for storing all your personal belongings. 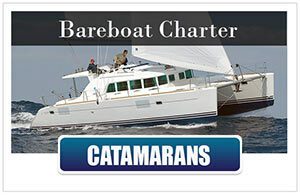 The dedicated crew is accommodated forward in their own private births. 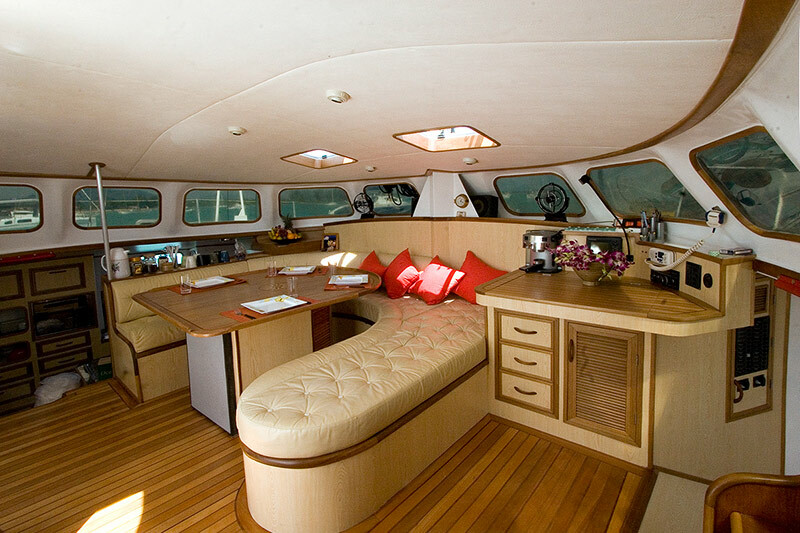 The huge saloon with its light tinted leather settee situated around a center table can comfortably sit 9 People to enjoy the gourmet cuisine coming out of the galley on their yacht charter. 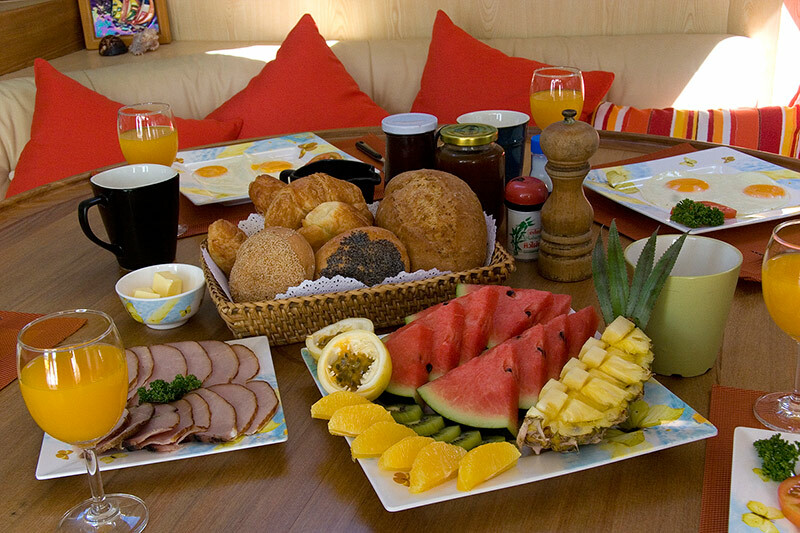 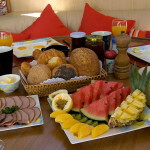 The well-stocked galley is located in the port (left) hull and is fitted with a gas hob stove and an oven/grill. 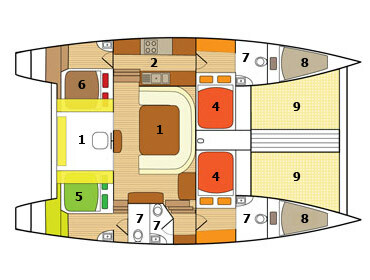 Above decks SY Mozart is just super spacious, taking into account she is 48 feet x 25 feet. 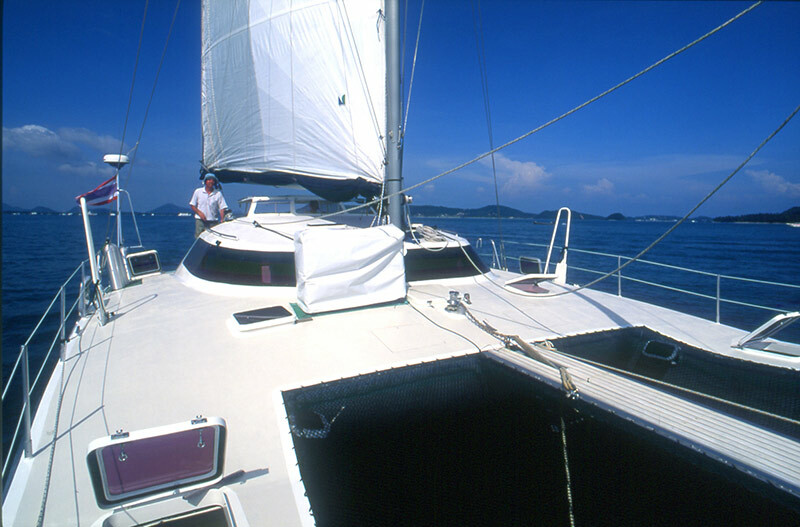 Especially during a yacht charter in the tropics you will love the aluminium fixed awning above the cockpit providing shelter from the sun and the occasional tropical down pour. 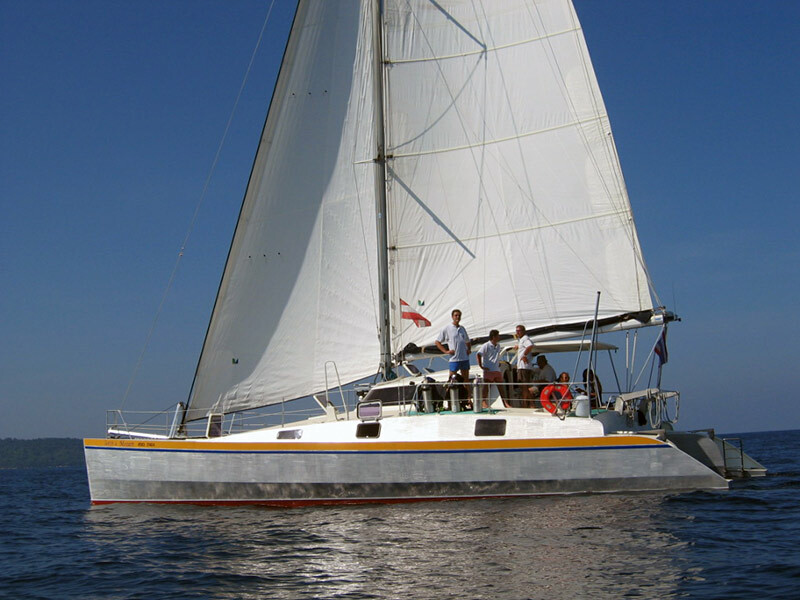 Lunch is often served on the open-air foredeck under a removable awning with panoramic view of the beautiful Andaman Sea surroundings. 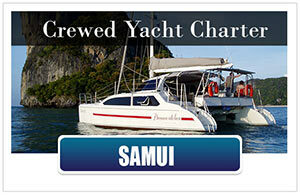 The uncluttered decks with wide gangways make her ideal for a yacht charter with children. 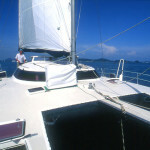 The bow netting is a great place for sun bathing during passages. 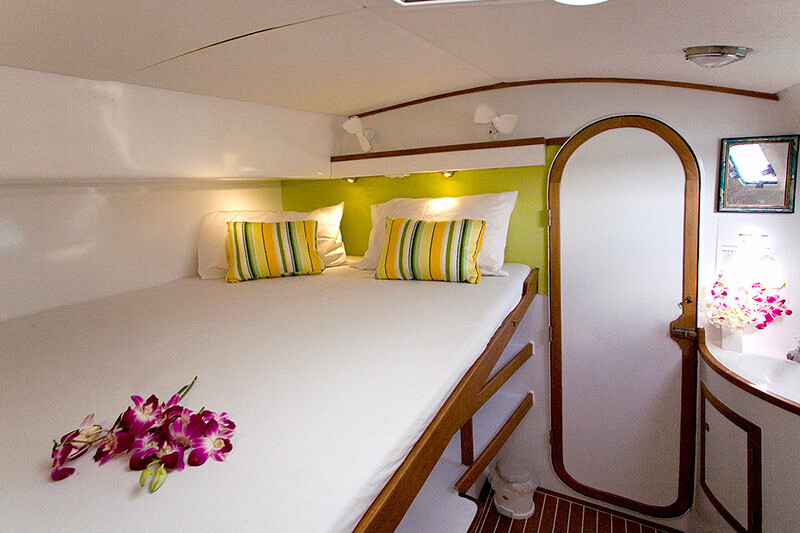 The low to the water swimming platforms at the aft of each hull make it easy to get in and out of the water and after a swim you can wash off the salt with the conveniently at the aft transom positioned deck shower. 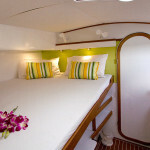 Comfort Double fans in all cabins 4 bathrooms, 3 showers, additional deck shower, Water maker. 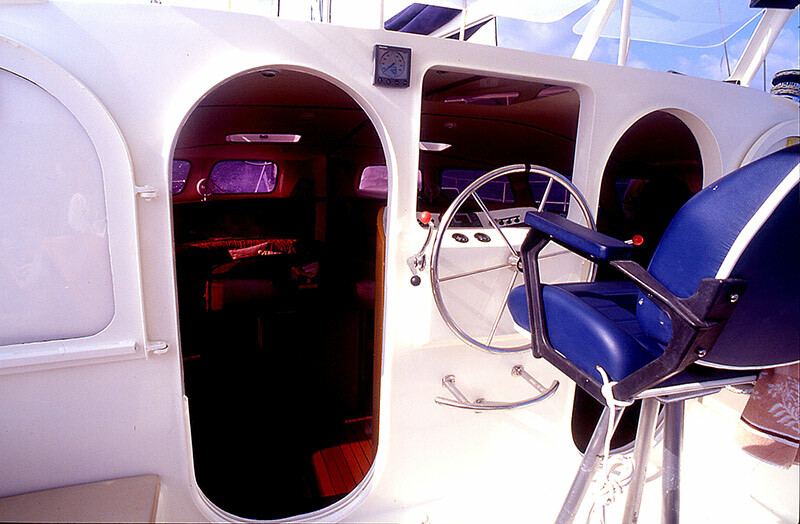 Standard 8-person tender with outboard, snorkelling equipment. 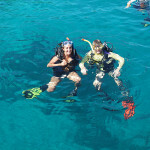 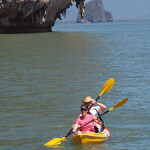 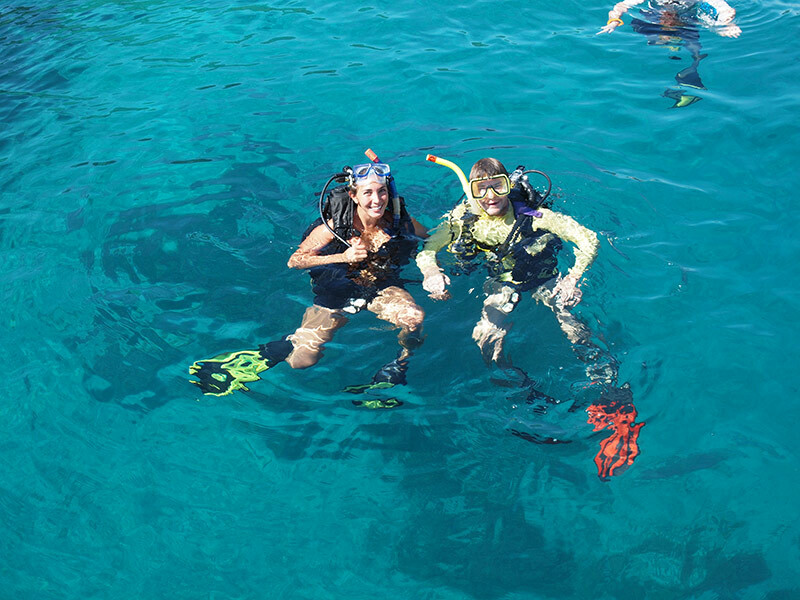 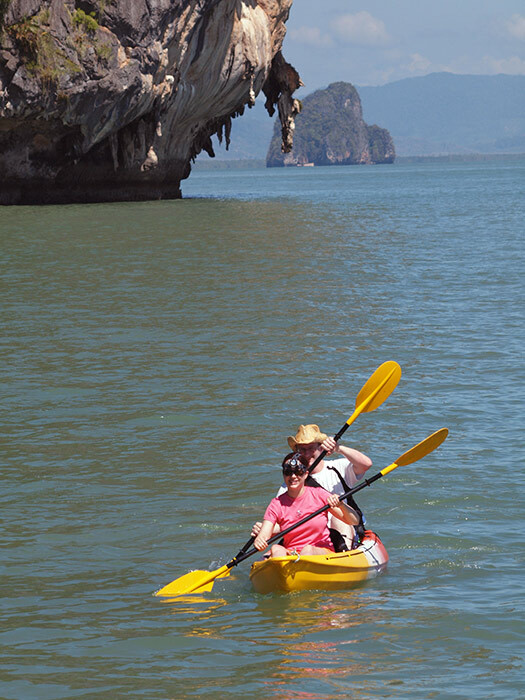 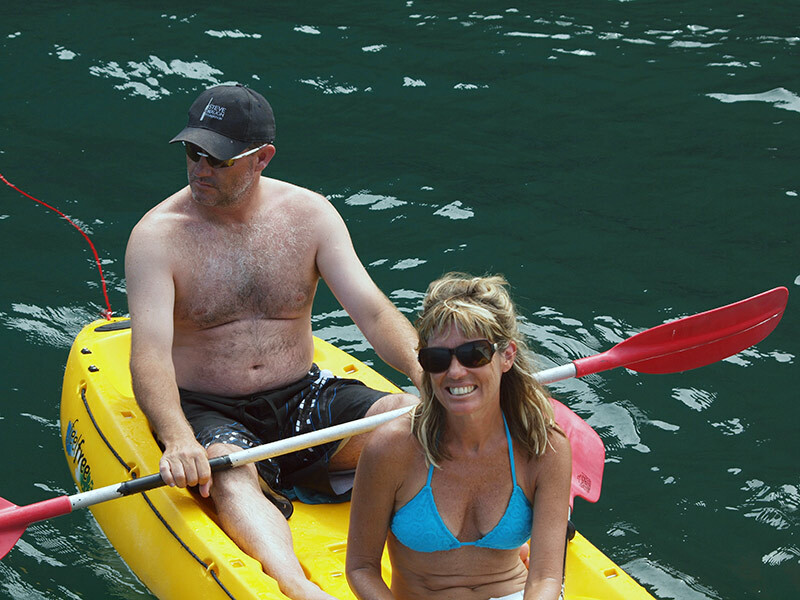 Extra On-board Thai massage, scuba diving, two 2-person kayaks. 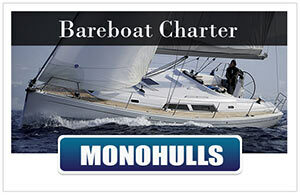 Sailing Cruising speed 8 knots, top speeds 15 knots. 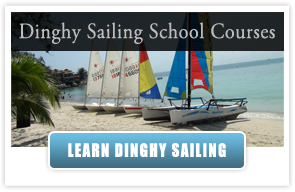 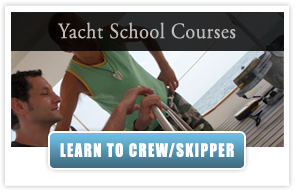 Sailing Courses | The Freedom Fargo| Sailing in Thailand| Segeln Thailand | Live Aboard Thailand | Adventure Sailing Cruises | Follow this link to see more Charter Boats for Crewed Yacht Charter from Phuket: Charter Yachts in Phuket – Thailand. 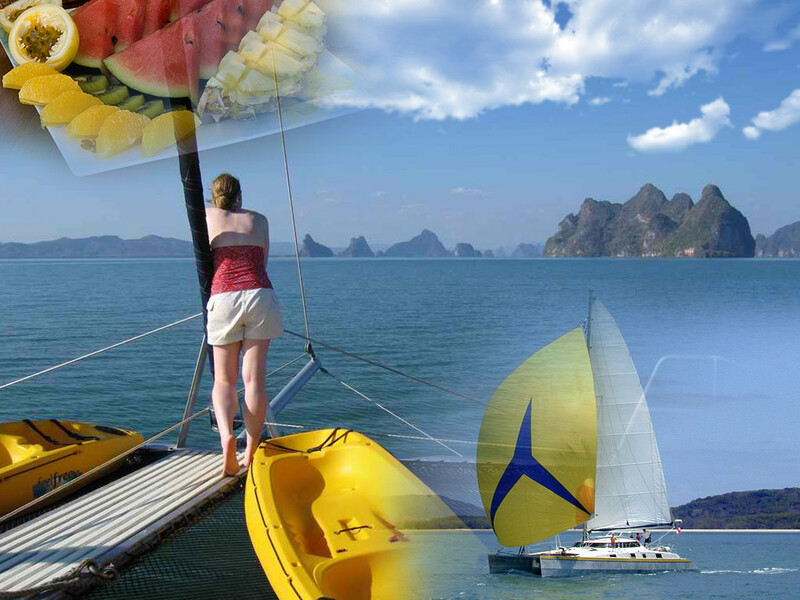 If you would like more information about the sailing catamaran – SY Mozart or maybe you have any other question about Sailing Thailand in general, please contact us here.